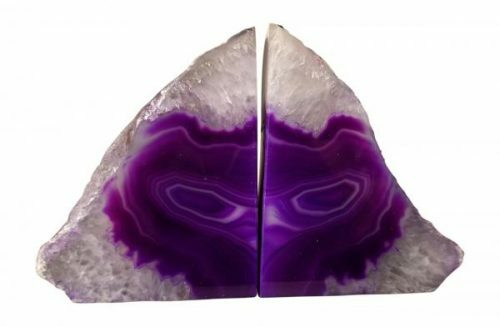 Enchanted Dwelling, a company specializing in home decorations, launched an updated collection of high-quality natural Brazilian agate stone coasters, wind chimes, bookends and other pieces. Each piece is handcrafted and made of completely natural Agate, making them ideal decorations for anyone looking for a creative way to bring a touch of timelessness to their interiors. More information can be found at https://enchanteddwelling.com. A beautifully textured, diversely colored stone, agate has seen an increased popularity in homes throughout the world. A recent report published by ICR World Research estimates that the demand for agate will continue to grow, the institution expecting its market share to continue to grow by 2024. Enchanted Dwelling offers a set of high-quality Brazilian agate decorations, including a pair of bookends, four large stone coasters, wind chimes, a microfiber polishing cloth and two mugs. The natural agate stones are available in six colors – natural, blue, black, pink, green, purple, and teal, while the wind chimes feature agate slices in multiple colors and natural blond wood. The set is designed as a versatile natural stone decoration that is easily adapted to any type of interior style or décor preferences. The decorations are easy to clean using the included microfiber cloth. With the recent update, Enchanted Dwelling continues to expand its range of natural stone products for customers throughout the world.